Put on your seatbelts because I’m about to drop some knowledge on you that could seriously improve your quality of life – whether you want to lose weight or not – so pay attention, seriously. I got interested in weight loss counseling when I was in my pulmonary medicine training. Part of my training was in the area of sleep medicine. Sleep apnea (also called OSA) is a condition I treated that is associated with obesity. The condition is one where people stop breathing in their sleep leading to severe sleep deprivation and multiple other problems. 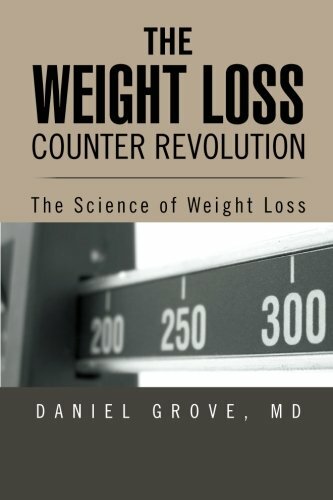 The leading risk factor for OSA is obesity so I got into helping people lose weight since losing weight can cure the disease. Increased weight can lead to OSA and poor sleep but it turns out that poor sleep can also lead to increased weight. In OSA caused by obesity the upper airway is narrowed by the weight of the fat squeezing the path air takes to get to the lungs. The brain sends a signal to wake up to open the airway. People can have these episodes as often as every minute which means they never get good quality sleep no matter how many hours they spend in bed. The end result is severe sleep deprivation. It turns out that sleep deprivation has a major impact on body weight as well. Poor sleep leads to increased appetite particularly for obesity-generating high carb foods. Sleep deprivation also leads to decreased energy and motivation to exercise. 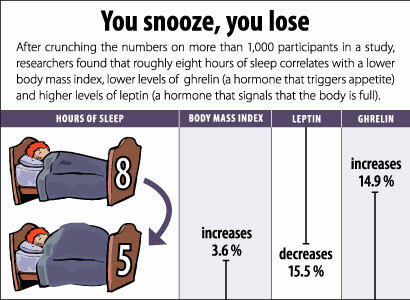 In other words, poor sleep makesyou eat more junk and exercise less – not a good formula for successful weight loss. Your sleep habits may have a major impact on your success or failure on your diet. This is true even if you don’t have sleep apnea. If you’re not getting enough sleep it could significantly impact your weight; you too will have increased appetite (especially for carbs) and decreased energy and motivation for exercise. For that reason I have begun counselling people on the importance of good quality and quantity of sleep to help them with weight loss. 1. NO SCREENS. I’m putting this first because I think it’s the most important in this day and age. Screens in the form of television, tablets, or smartphones all make sleep difficult for two reasons. First, the light emitted from the screens stimulates your brain to think it’s daytime and that you should be awake. We are not nocturnal creatures and light is a major way that our brains know when it’s daytime. If you give your brain a daytime signal it will make it harder to fall asleep. Second, the content you’re viewing is designed to grab your attention. It wants to wake you up so you’ll keep watching. 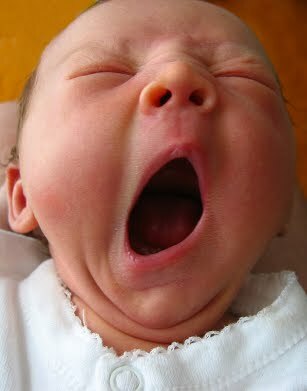 Increasing your alertness is a bad way to fall asleep. Even if you are able to fall asleep watching the screens, it has been shown that your sleep quality suffers. I heard a study reported (I apologize for not having the reference) where people were asked to read before bed. One group had a tablet and the other a good ole fashioned paper book. Even though they were reading the same content, the group who had the tablets had poorer quality sleep. In other words, if you turn off the screens at least a half hour before bed your sleep quantity and quality will improve. Better sleep means a happier life. 2. Be consistent. Having a consistent bed time and wake time is clearly important for quality sleep. Think of your body as an animal that needs to be trained. In this case, you are training it that when the clock hits that bed time, it’s time to sleep. The most important part of any animal training program is consistency. If you are going to bed and waking up at different times every night, your body will not be trained adequately. 3. Exercise in the evening. It has been shown that exercise in the evening improves sleep quality. The caveat is that it can’t be too close to bed. You need at least 1-2 hours to cool down otherwise the adrenaline rush you get from the exercise may inhibit sleep. After you cool down, however, you have exhausted your body a bit allowing you to fall to sleep more easily. 4. Avoid naps. If you nap during the day it throws off your sleep schedule and may create problems with #2 above. If you are super sleep deprived, it is better to keep yourself awake as long as possible and go to bed a bit earlier than to take a nap during the day. If you follow these tips (especially #1 and #2) you will definitely have an improvement in the quality of your sleep. Improved sleep quality will decrease your appetite for junk food and increase the energy you have for exercise. It will improve your mood, concentration, and overall quality of life. Not bad if you ask me.